Kiera Van Ryk has two sides to her persona. Off the court, she is another friendly face in the masses along Main Mall. 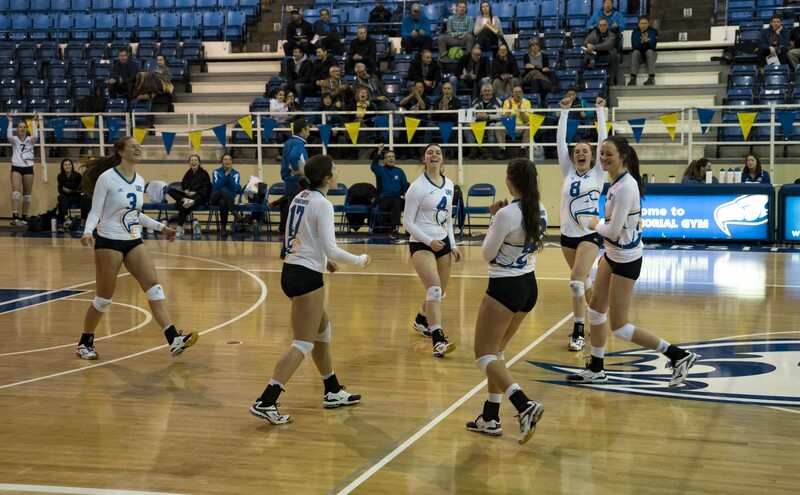 You can see her walking around campus, oftentimes carrying a backpack with the UBC women’s volleyball logo on it — she is hard to miss at 6’2”. If you call her name after a game, she’ll respond with a cheerful smile. It’s different on the court, though. If you’ve seen her play volleyball, she is ruthless. As an outside hitter, she hasn’t failed to reach double-digits in points on the court in the past season. She’s ranked number one in the country in kills with 354 and kills per set with 4.60. 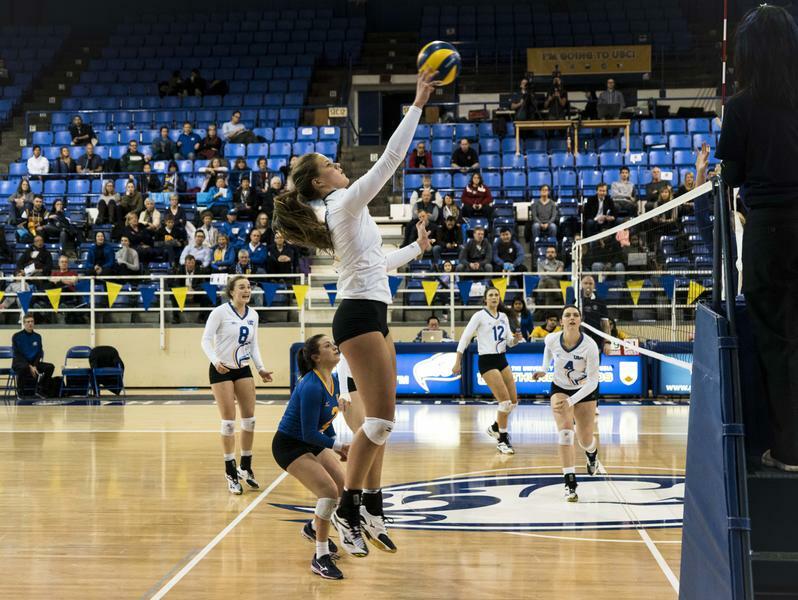 Having been a part of UBC’s roster for just the last two seasons, Van Ryk’s consistency on the court has already become a key weapon for the women’s volleyball team. It’s hard not to be noticed when you lead a team that way. Last year, Van Ryk was selected for the Canadian senior national team for the Pan American Cup. She traveled to the Dominican Republic and helped the team successfully defeat Brazil in the bronze medal game. For Van Ryk, the whole experience was unexpected. The trip to the Dominican Republic was a turning point in Van Ryk’s volleyball career. Winning an international medal has boosted her confidence, while earning her a lot of experience competing against other countries’ top talents. “It was an amazing learning experience for me, I got to learn a lot from the girls there and I got to learn a lot about myself at the tournament,” she said. Van Ryk is also the youngest player on the national team, a position that gives her the chance to learn from some of Canada’s best athletes. Following the Dominican trip, Van Ryk went on two more trips with the team to Asia and Europe. A highlight of her tour was the Fédération Internationale de Volleyball (FIVB) Women’s World Championship in Hokkaido, Japan in August. During her FIVB trip, Van Ryk had the chance to travel to the northern city of Sendai. It was a stop she still remembers vividly today. Coming back to the Thunderbirds this fall, Van Ryk has a new understanding of teamwork and responsibility thanks to her national team tour. Now in her second year and with national experience behind her, she has started taking a leadership role within the squad — a roster that is going through its own new chapter. With playoff season approaching, Van Ryk is taking on a huge responsibility on the court, leading a younger roster as they fight for a solidified playoff spot. That said, she is more than just an athlete — she’s a student, a friend, a family member, world traveller and much more. Outside of the gym, just like everyone else, Van Ryk likes to spend time with her family and friends. She’s also a dog lover. While on her tour last summer, she had to say goodbye to her family’s dog — her sidekick since she was five years old. For Van Ryk, being an athlete has its evident highlights, but it can also mean missing some significant moments outside the court. In the grand scheme of things, her life isn’t just about sports.